Credit Score  Good: -- I've had a credit card, or loan for 6+ years. I've had good credit for the last 7 years (no bankruptcies or no defaults on credit as a result of failing to pay debts back to creditors). I haven't opened a new credit card account, loan, or line of credit in the last nine months. I've made the minimum payments on my existing credit cards for the past three months. 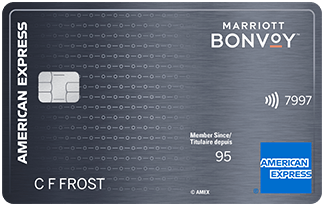 New Marriott Bonvoy™ American Express® Cardmembers earn 60,000 Marriott Bonvoy™ points enough for 4 free nights at a Category 2 hotel after you charge $1,500 in purchases to your Card in your first three months of Cardmembership. 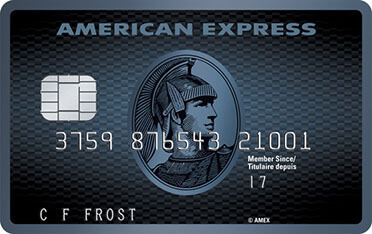 New SimplyCashTM Card from American Express Cardmembers can earn 2.5% cash back on purchases (up to $150 cash back) for the first 3 months of Cardmembership. New Blue Sky® Credit Card Cardmembers, earn 10,000 Blue Sky® Points after you charge $500 in purchases to your Card in your first three months of Cardmembership. 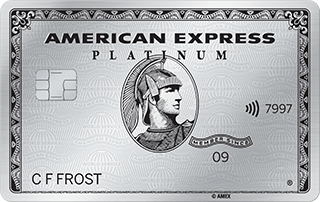 New American Express® AIR MILES®* Credit Card Cardmembers, earn a Welcome Bonus of 500 AIR MILES®* Reward Miles when you charge a total of $500 in purchases to your Card within your first three months of Cardmembership. Get 150 bonus AIR MILES®* Reward Miles when you spend $1,000 in the first 3 months of Cardmembership. Earn a Welcome Bonus of 2,400 AIR MILES®* Reward Miles when you charge a total of $3,000 in purchases to your Card within your first three months of Cardmembership. Earn a Welcome Bonus of 40,000 points when you charge $5,000 in purchases to your Card in your first three months of Cardmembership. Rate, annual rewards estimate and other product information are subject to change at any time and does not constitute financial advice. Please contact supplier for complete details.